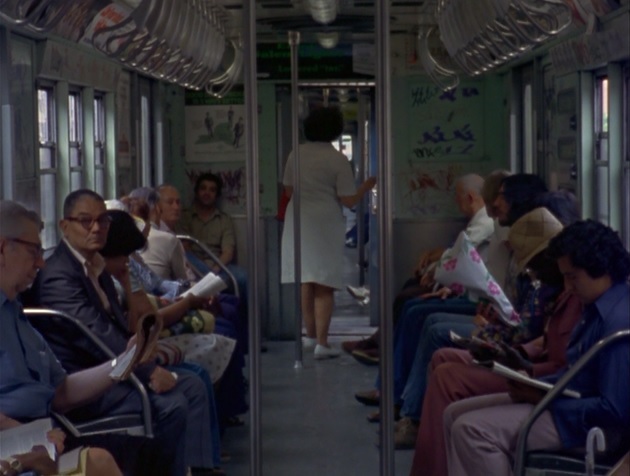 In the seventies Chantal Akerman spent a lot of time looking at things. In her films she often sets the camera in one place so that it can record whatever’s in front of it. Without actors, stories, or music to distract us, she lets us just observe the world. Lets us feel the light and the space and the unforced rhythm of life as it unfolds in its own haphazard way. This may seem simple enough, but it’s a radical departure from what we’re used to. In commercial cinema the world we see is artificial, even when the film is shot on real locations. The fictions that commercial filmmakers create inevitably shape our perception. A street, a store, a subway, they all become backdrops. 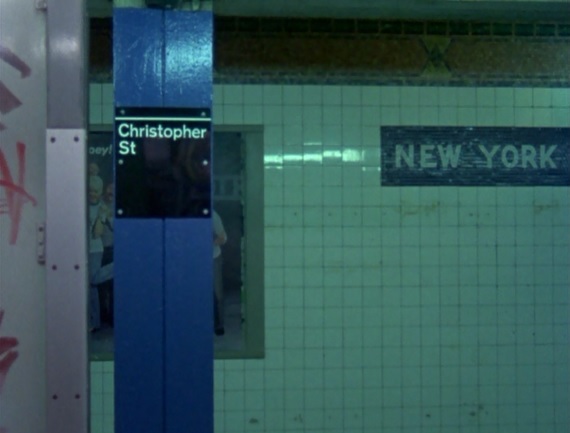 But in Akerman’s work from the seventies, they are just a street, a store, a subway. She lets them be what they are. A lot of people won’t have the patience for her approach, and that’s understandable. Most of us look to movies for entertainment, to take us out of the world. 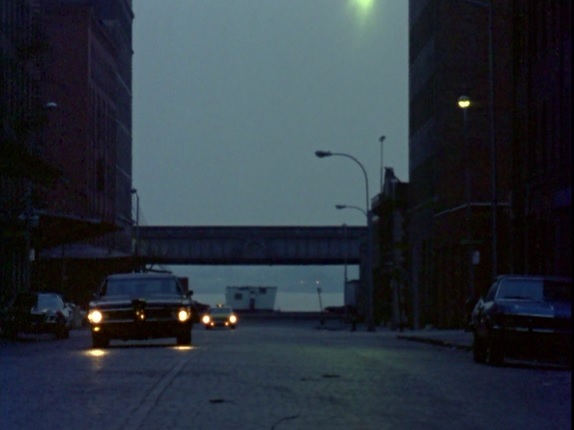 But if you’re willing to invest the time, Akerman offers a different way of experiencing the world. In News from home, Akerman continues to let her camera stand back and watch life unfold, but she adds another layer. As images of New York in the seventies appear on the screen, we hear a woman’s voice reading to us, and we soon realize that these are letters from the filmmaker’s mother. On the one hand, we have scenes of a vast urban landscape. The grinding anonymity of the city. Nameless people wandering down endless sidewalks. Busses lumbering past. Subway trains thundering in and out of stations. On the other hand, we have a mother writing to her daughter. Setting down the mundane details of family life. Reporting the relationship problems that relatives are dealing with. Complaining about the ups and downs of the family business. And above all, begging for more letters. The mother constantly reminds the daughter that her happiness depends on finding something in the mailbox. The contrast between the overwhelmingly impersonal and the painfully intimate gives the film a strange tension. There’s a calm detachment to Akerman’s approach, and in a way it seems to be a rejection of her mother’s pleas for contact. The distance between the images and the words appears to reflect the distance between the two women. Mention is made of the fact that Akerman left home without a word of explanation, and we don’t get an explanation, either. The mother reproaches her daughter, offers gifts of money, fills up pages with random bits of news, but we never hear a response from the filmmaker. She keeps her distance from us, too. Aside from everything else, News from home is a remarkable document of New York in the seventies. Having just crossed the Atlantic and landed in America, Akerman seems eager to absorb everything she sees. 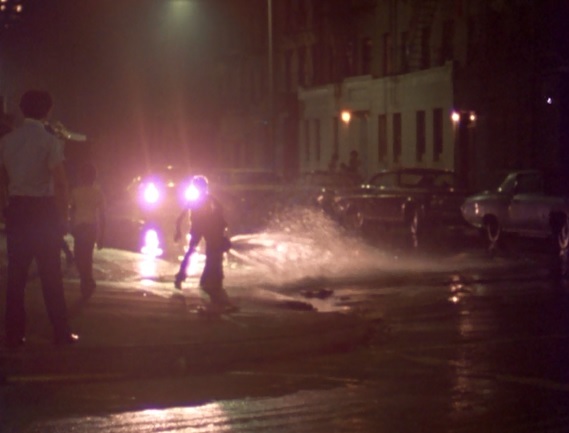 The camera captures kids playing in a fire hydrant’s spray, crowds of people pushing their way down a city sidewalk, cars gliding slowly down empty avenues. She lets us wander with her through the bright urban night, brimming with warm neon and diamond streetlights. We ride trains filled with tired commuters sitting silently in a cold flourescent haze. 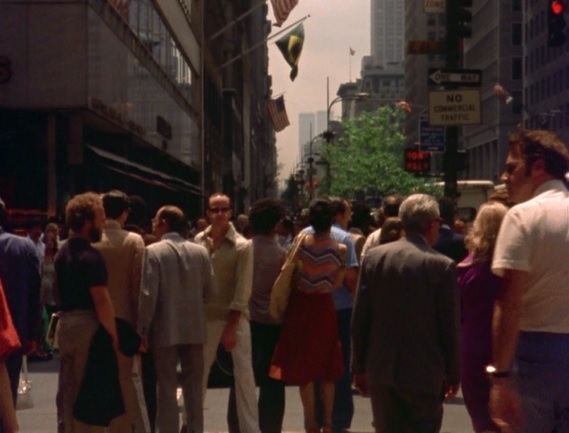 It’s not hard to imagine Akerman wandering the streets of New York in the seventies. A young woman far from home, losing herself in the immensity of the landscape, letting herself be overwhelmed by the city’s grinding brilliance. I’m sure it was rough, and I’m sure it was lonely, but I’m also sure that it was totally intoxicating. As frightening as it may have been at times, she had to make the trip. She had to leave her family behind to see what the world was like. Posted on July 9, 2015, in New York, Non-Commercial Cinema and tagged Chantal Akerman, New York. Bookmark the permalink. 1 Comment. I’m intrigued. Will have to look for this one.